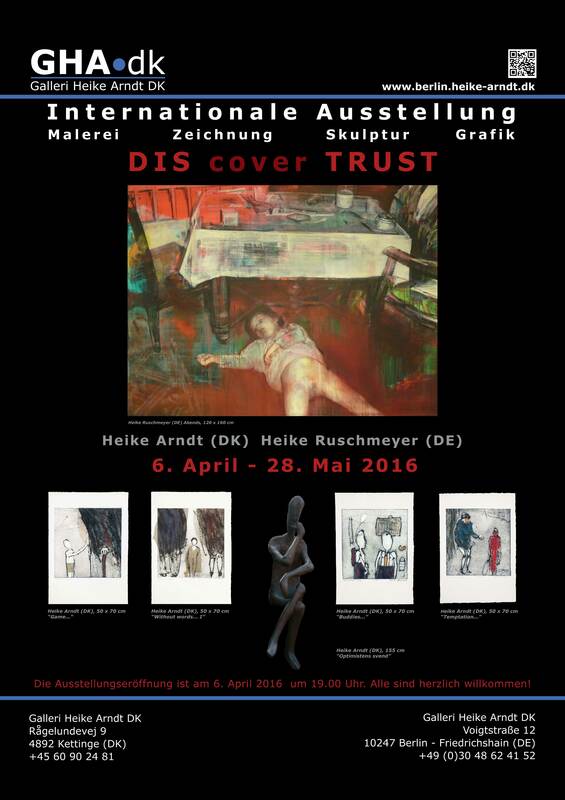 Let yourself be drawn into a world of concern and contemplation with the two internationally recognized artists: Heike Ruschmeyer (DE) oil paintings and Heike Arndt (DK) sculptures, drawings, graphic. Some of the art works documents crime scenes and others open up for our memories, that are almost forgotten. The art works elegantly manages to shed light on the shadowy sides of the human existence and history with a personal interpretation. The works certainly have hopefully one thing in common, the potential of never being forgotten. The artist Heike Ruschmeyer (DE) documents crime scenes with great respect and sensibility. With tough endurance Ruschmeyer forces us out of our comfort zone. ”I am a documentary painter. I am not melancholic and not sentimental. I see myself as a lawyer for the people I paint, so that they are not forgotten.With my works I bring them back into society”. Ruschmeyer works with victims of violence and crime scene photographs in her art.